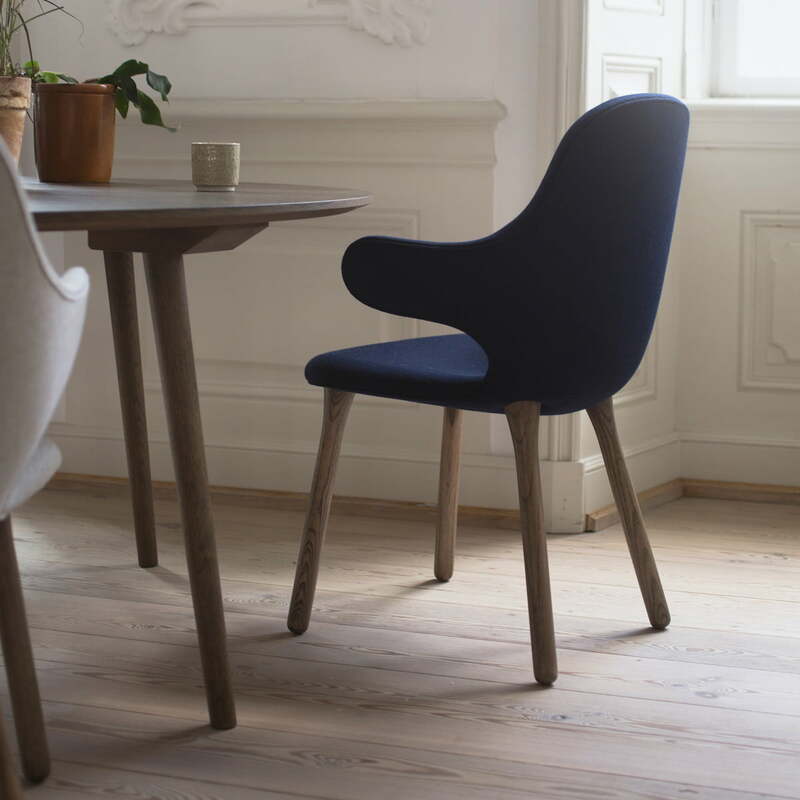 Catch is a chair designed by Jaime Hayon for &tradition that welcomes its user with open arms. The extravagant armrests of the chair extend directly from the ergonomic seat shell and are characterised by their wide, padded and softly shaped appearance, which ensures a special eye-catcher. 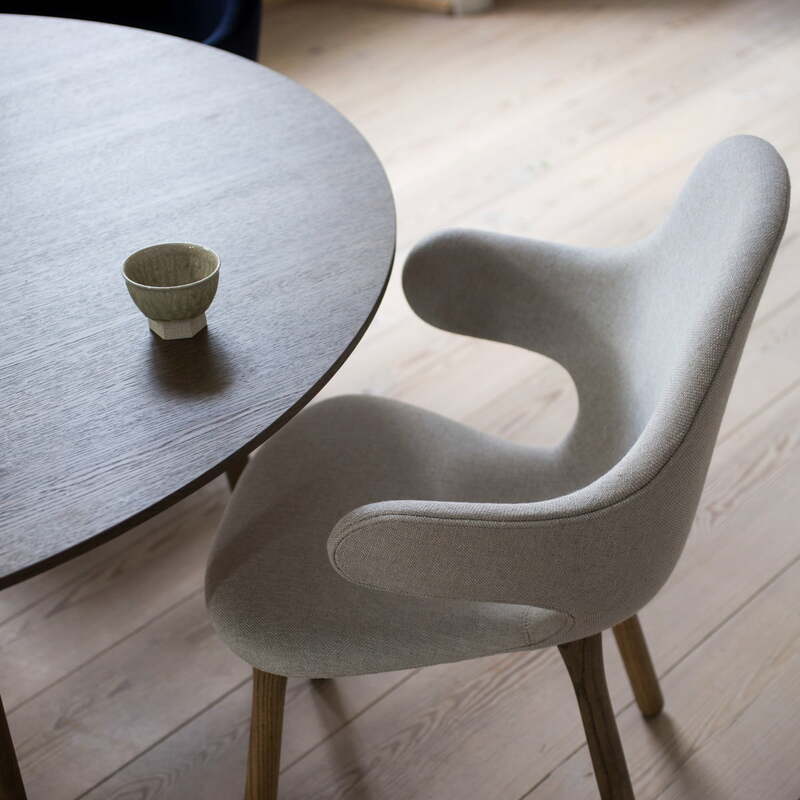 Defined lines and sharp edges are not to be found on the chair, instead soft curves and playful details characterise the design. Four legs made of European oak wood with their rounded edges fit perfectly into the overall appearance and complete the extraordinary look. In addition to its optical advantages, the Catch JH1 chair also offers outstanding comfort: Formed from PU foam and equipped with CMHR foam in the seat shell, the chair invites you to stay longer. The enclosing armrests also contribute to the comfort. 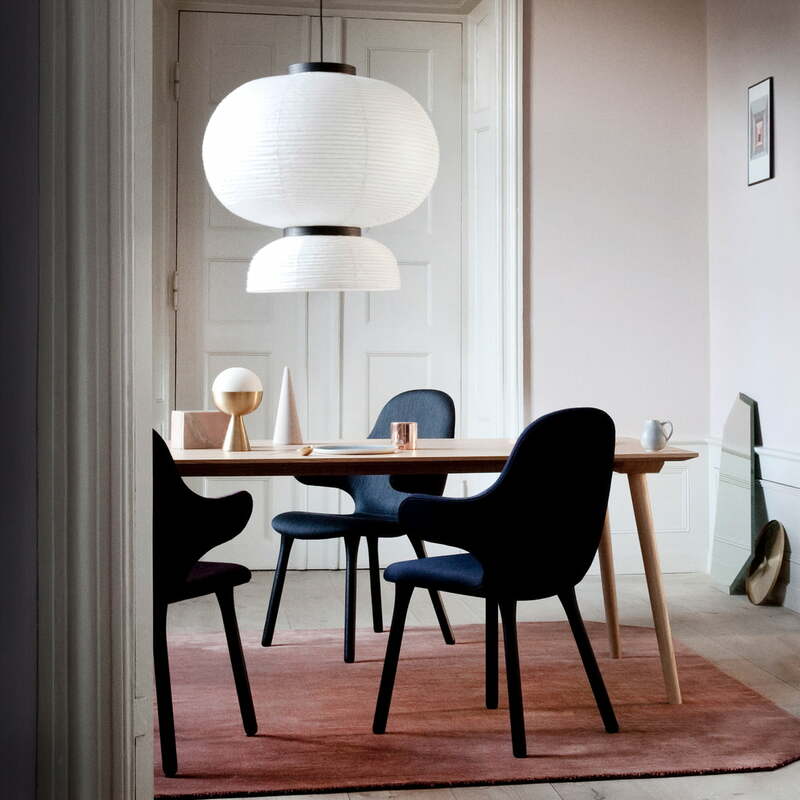 With several at the dining table or combined with other chairs, the Catch JH1 chair sets modern accents and becomes the absolute highlight in any ambience. It can also be used as a desk chair, making work a comfortable affair. The chair is available from &tradition with different fabric covers and in different colours. 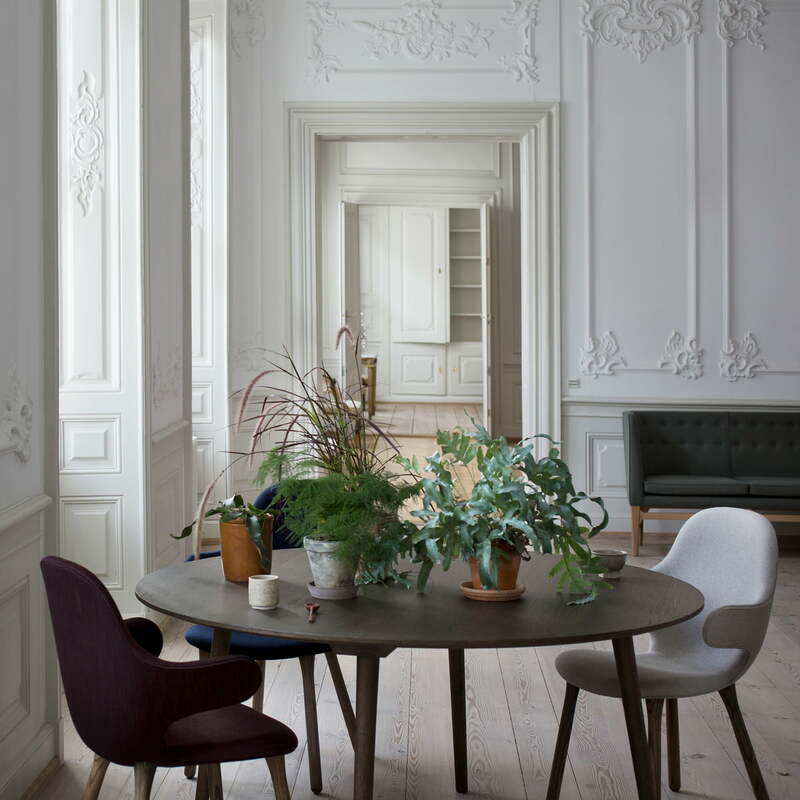 Catch is a chair designed by Jaime Hayon for &tradition that welcomes its user with open arms. The generous, upholstered armrests characterise the playful design of the chair and provide great comfort. Lifestyle product image of the Catch JH1 by &tradition. 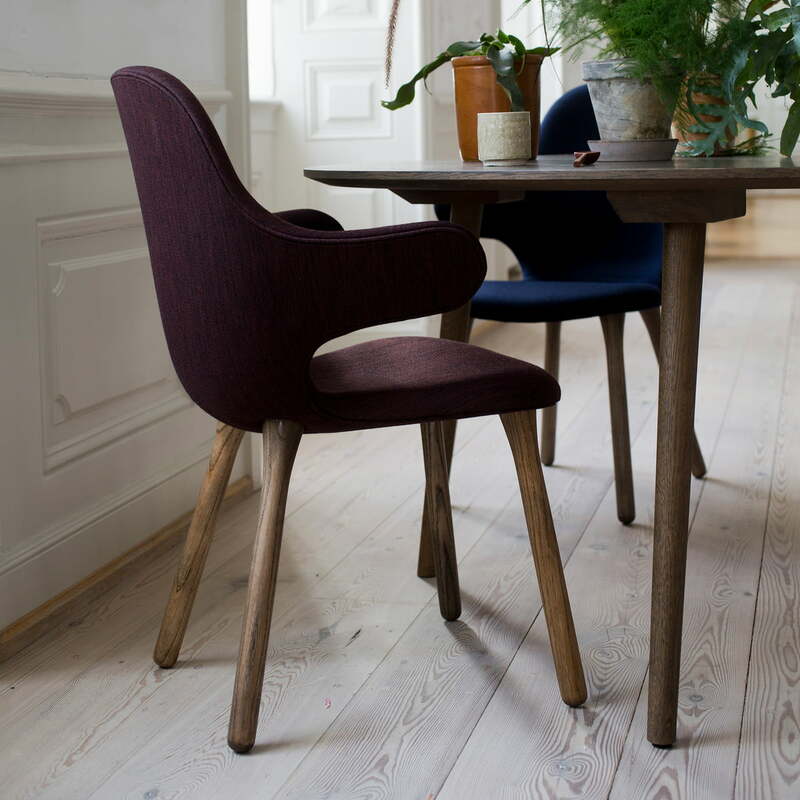 With several at the dining table or combined with other chairs, the Catch JH1 chair sets modern accents and becomes the absolute highlight in any ambience. Lifestyle product image of the Catch JH1 by &tradition. 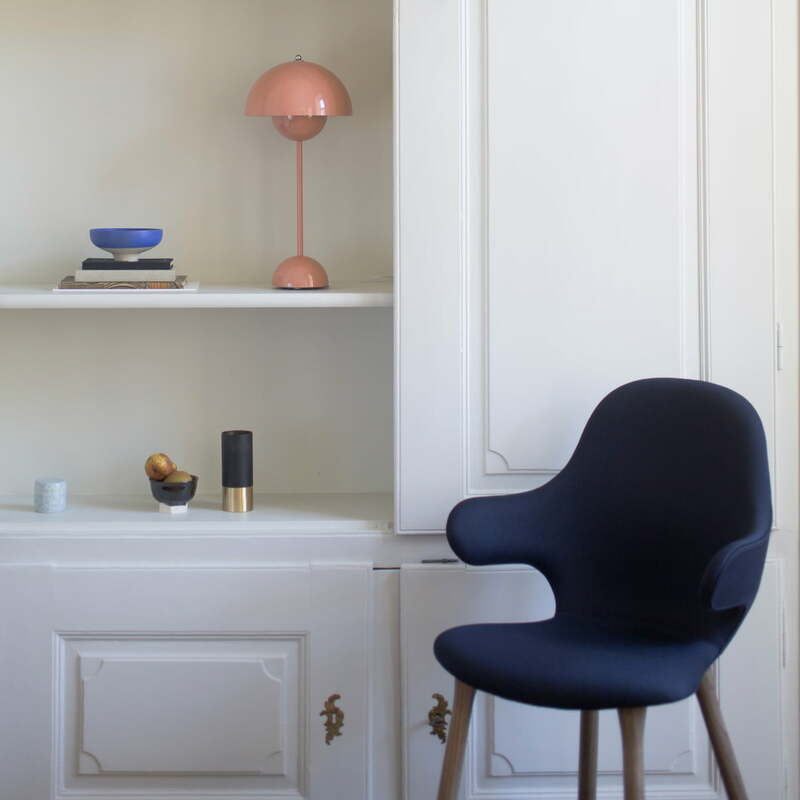 Defined lines and sharp edges are not to be found on the chair, instead soft curves and playful details characterise the design. Lifestyle product image of the Catch JH1 by &tradition. Formed from PU foam and equipped with CMHR foam in the seat shell, the chair invites you to stay longer. The enclosing armrests also contribute to the comfort. Lifestyle product image of the Catch JH1 by &tradition. 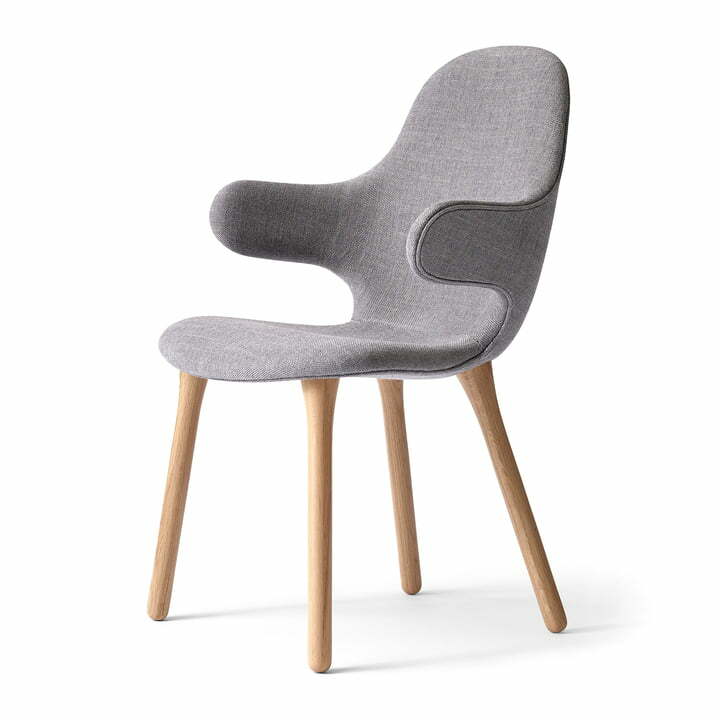 The extravagant armrests of the chair extend directly from the ergonomic seat shell and are characterised by their wide, padded and softly shaped appearance, which ensures a special eye-catcher.